With 2019 still having that "new car" smell, it's that time of the year when everyone starts making changes to their lives or their overall appearance. 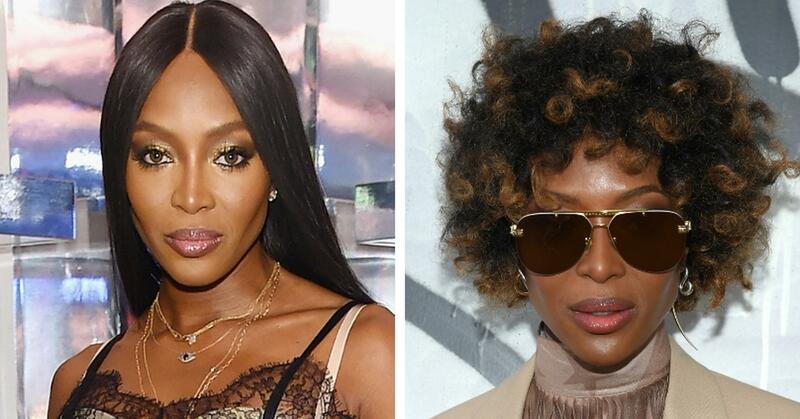 These 15 celebs found they could kill two birds with one stone by just getting a radically different hairstyle that transformed everything for them. Sure, it's just hair, but it's interesting to see how much someone can change with just one pixie cut. 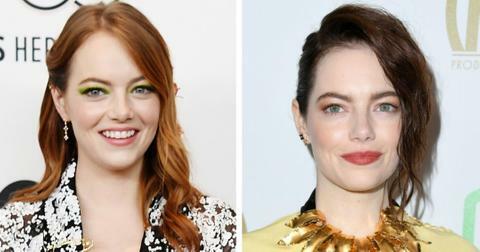 Below, a few celebs who look completely different with new hair. Even though Emma Stone isn't a natural redhead (she's a natural blonde, weirdly enough), it's still the color people associate her with. So when she showed up to the 30th Annual Producers Guild Awards in 2019 with a brunette asymmetrical bob, people were more than a little shocked. Not only was it a radically different hairstyle, the change in cut and color made her look like a completely different person. Eva Green, is that you? Isla Fisher is another famous redhead who looks weird with any other hair color other than red. That sentiment was confirmed when she dyed her hair blonde earlier this month. "Go blonde in ‘19 or go home," she wrote on Instagram. Fortunately, she changed it back to red shortly after. 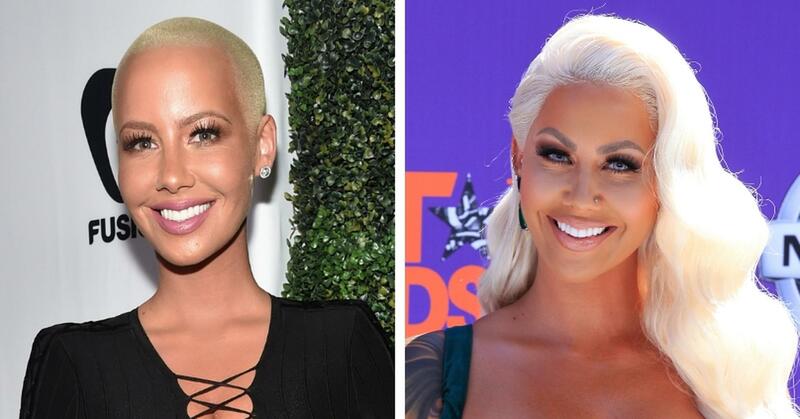 Very few women can rock a bald head, but Amber Rose has made it her trademark. The few times she has had hair, she looked unrecognizable, like the time she sported blonde wigs back in 2017. "[Wigs are] not comfortable and I’m not used to them,” she said back then. That probably explains why she's back to being bald — and we prefer it that way. 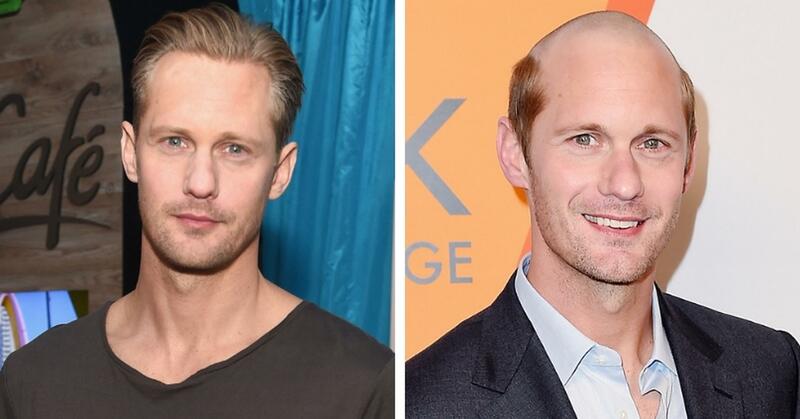 More than a few jaws dropped when Big Little Lies' star Alex Skarsgard showed up to an event in 2017 with a hairstyle that many angry men called "male pattern baldness appropriation." Fortunately, he didn't go bald overnight and the shaved look was just for a movie role. Whew! 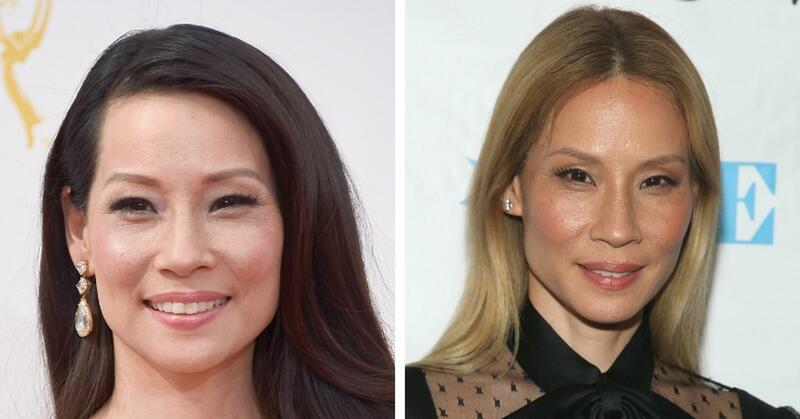 Lucy Liu has literally looked exactly the same since the 2000s, so when she dyed her hair blonde back in 2018, people lost their minds. According to her hairstylist, the color took nine hours to create and required four rounds of bleach to lighten her naturally dark hair. 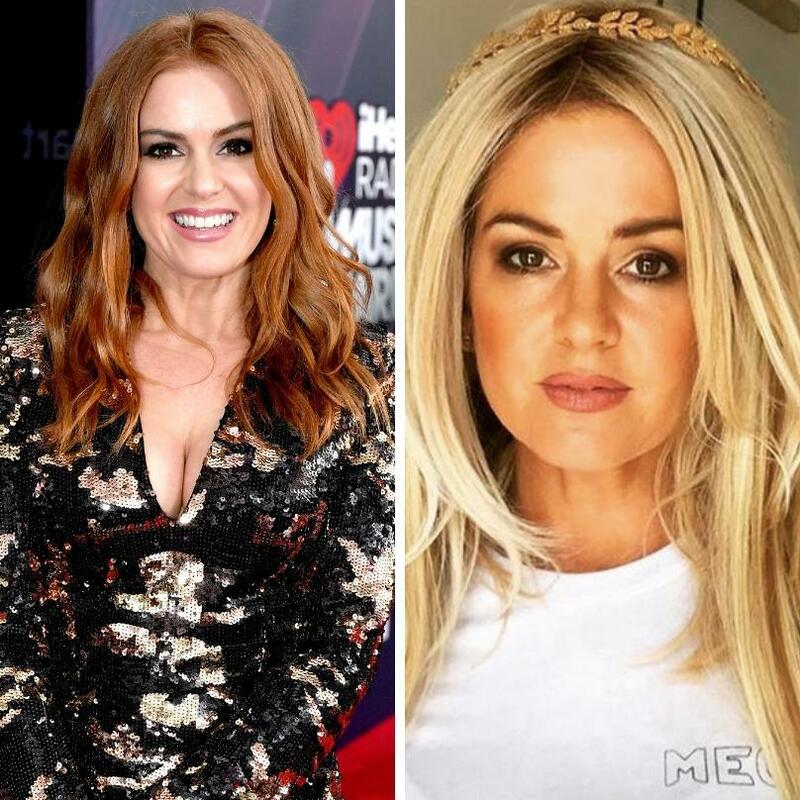 If you're wondering how Lucy managed to keep all her hair and not end up walking out of the salon bald, her stylist used a special kind of bleach that didn't damage her hair. "If you're using a normal bleach on Asian hair, they won't be able to do four or five rounds like Lucy did," she revealed. "If I used normal bleach, her hair would probably have ended up on the floor." 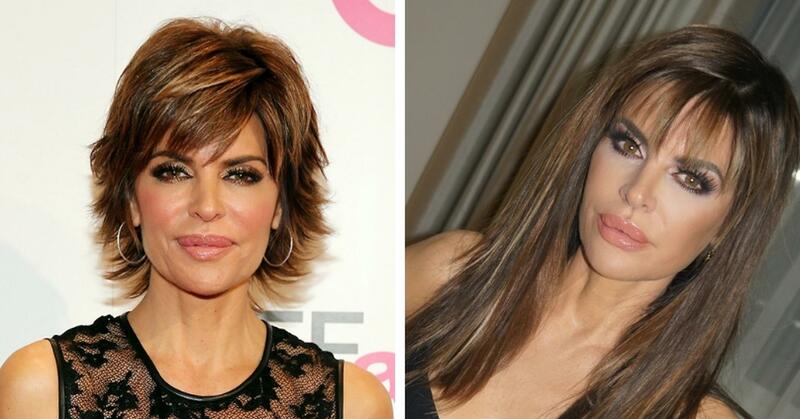 The Real Housewives of Beverly Hills' Lisa Rinna is another celeb who's had the same haircut for 20 years. 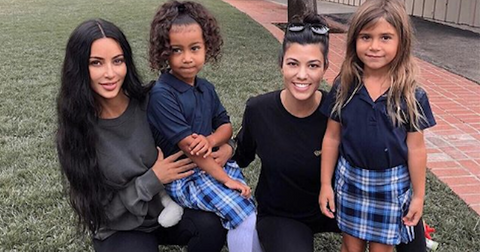 She surprised everyone when she got rid of her trademark mom cut and rocked long hair for the first time, uh, ever. She wore the extensions for a few months back in 2018 but went back to her short hair shortly after. And hey, since we're on the subject of celebs who never change their hair, supermodel Naomi Campbell has been sporting her long, straight wigs for ages now. She switched things up last year when she attended a Paris fashion show with short, curly hair, giving fans their first glimpse of what her natural hair looked like. "I do take more care of my hair now, because I lost all of it with extensions," she told The Evening Standard. "I am more careful and I do different things." 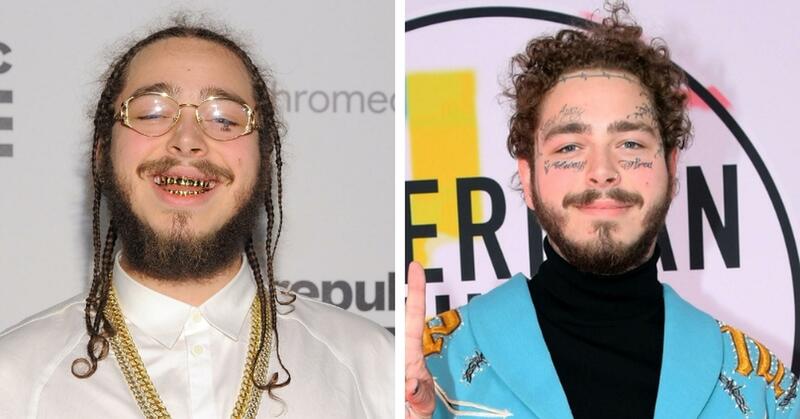 Rapper Post Malone has had an interesting "glo up" within the past year. When he cut off his hair back in 2018, he begged his fans to continue listening to his music. "Had 2 big a-- dreads," he explained for why he chopped his hair off. Honestly? It's an upgrade. 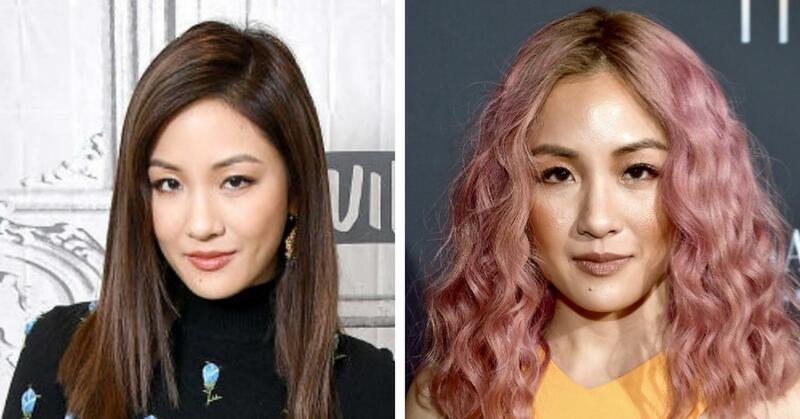 When Crazy Rich Asians' Constance Wu sported pink curly hair last year, it was radically different from her usual brown lob. "I took the summer off from work. Because I knew I wasn’t going to be on camera for several months, I thought, 'I’m going to just play around,'" she told The New York Times. "I was pink, then I was jet black, then I was blond, and now I’m kind of dark blond-light brown." 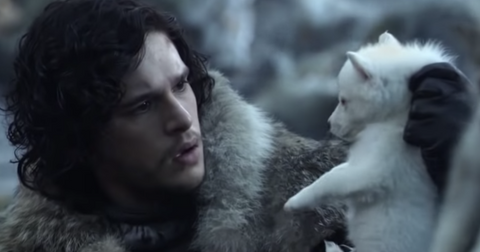 Most people are used to seeing Game of Thrones' Emilia Clarke with long, blonde hair thanks to her role as Daenerys Targaryen. However, after wrapping up the show's final season, she cut her hair and bleached it blonde as an homage to her GOT character. 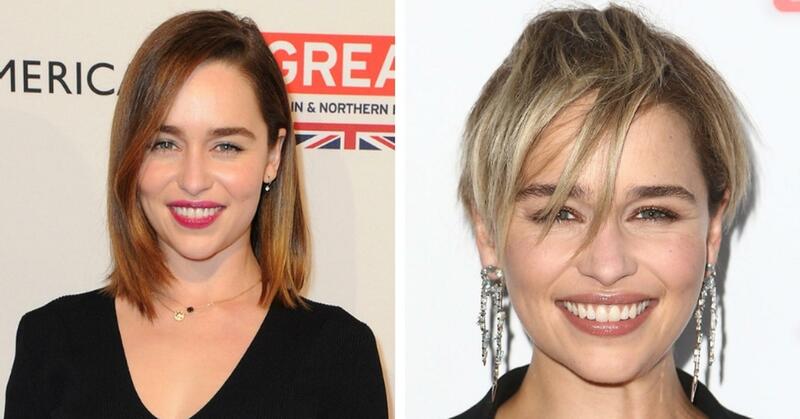 "Emilia Clarke Just Cut Off All Her Hair And It's SO Short," Harper's Bazaar screamed after she debuted the look. Geez, can everyone calm down? It's just hair. 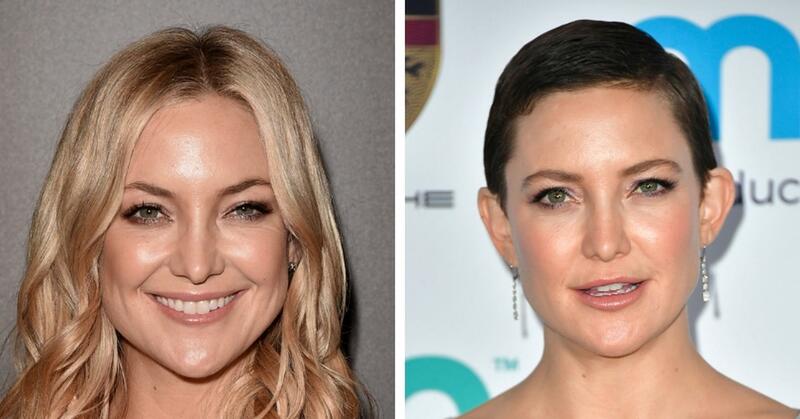 In 2017, Kate Hudson rocked a buzz cut when she shaved her head for a role in a movie. 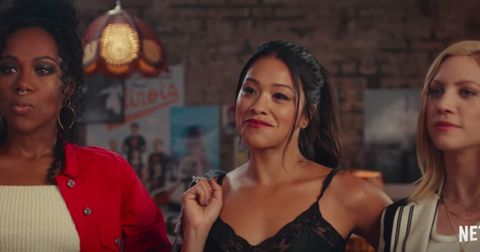 "It's funny, too, because when (the cut) first started, I didn't think about it because it was (for) the role," she explained to Jimmy Kimmel. "It was like, 'Oh, let's do this!'" 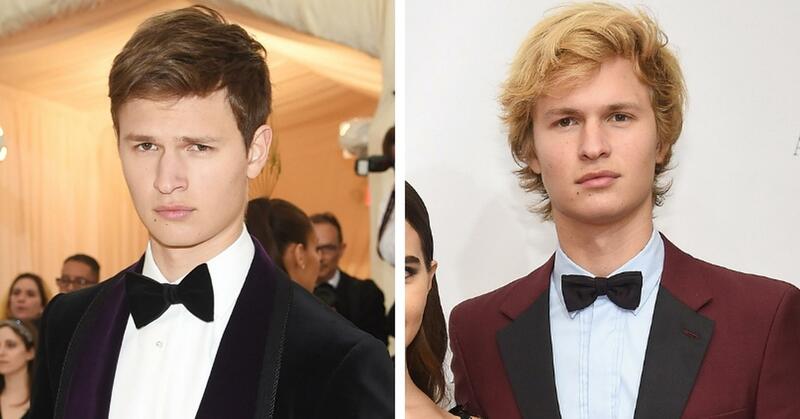 The Fault in Our Stars' Ansel Elgort debuted a bleached out 'do late last year, which The Cut called "heartthrob hair." It definitely made him look different, that's for sure. 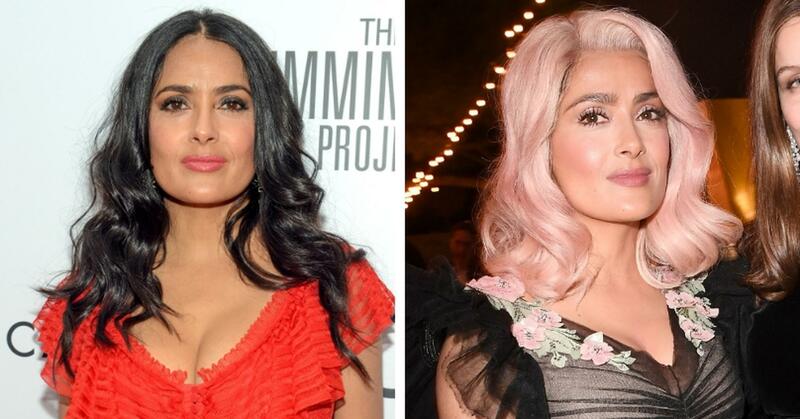 Back in 2017, Salma Hayek rocked pink hair to the Cannes Film Festival. According to her stylist, the look was achieved by dying a platinum blonde wig rose gold. "I used Wella Color Touch which is a semi-permanent hair color (often used as a gloss or toner) to make a pink tone," she told Allure. "I then added a darker cool blonde shadow at the root to make it natural-looking." 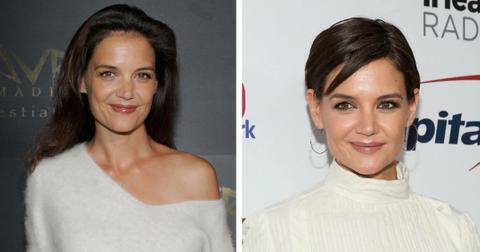 When actress Katie Holmes rocked a pixie cut last year, it looked like a hairstyle that fit her personality, but the look was actually for a movie role. “We were trying to find a balance between something feminine but kicka-- cause she’s working really hard — her body looks incredible,” her stylist told People. "She really wanted it to move on camera so it was actually like three haircuts. We did it over the weekend and it kind got shorter and shorter and shorter." Advice we can all live by.